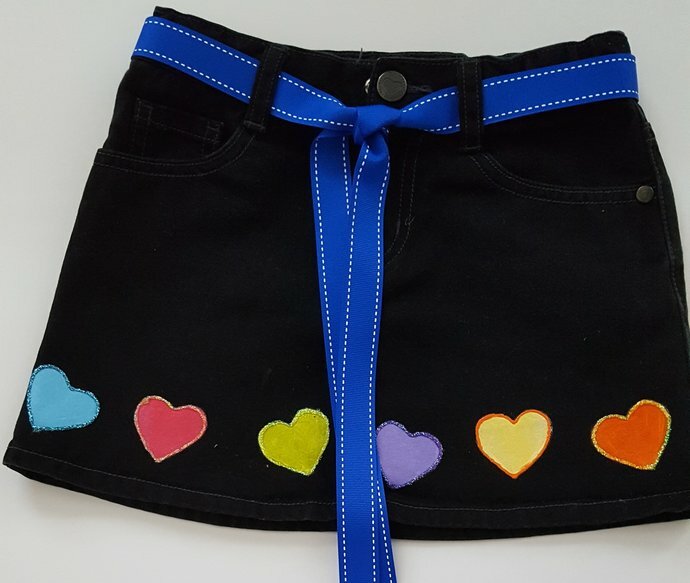 Upcycled hand painted black denim skirt. 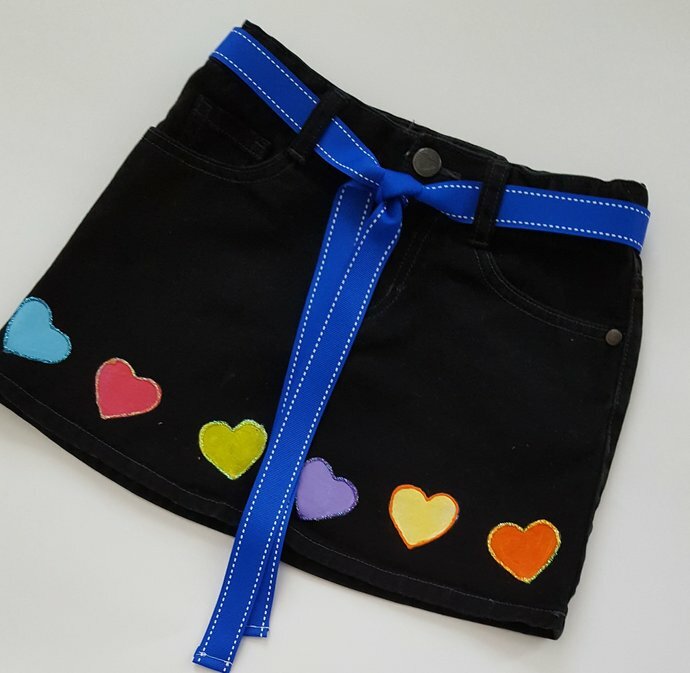 Hand painted with colorful hearts. ; also had a blue grosgrain ribbon tie. Machine washable on a gentle cycled in cold water. 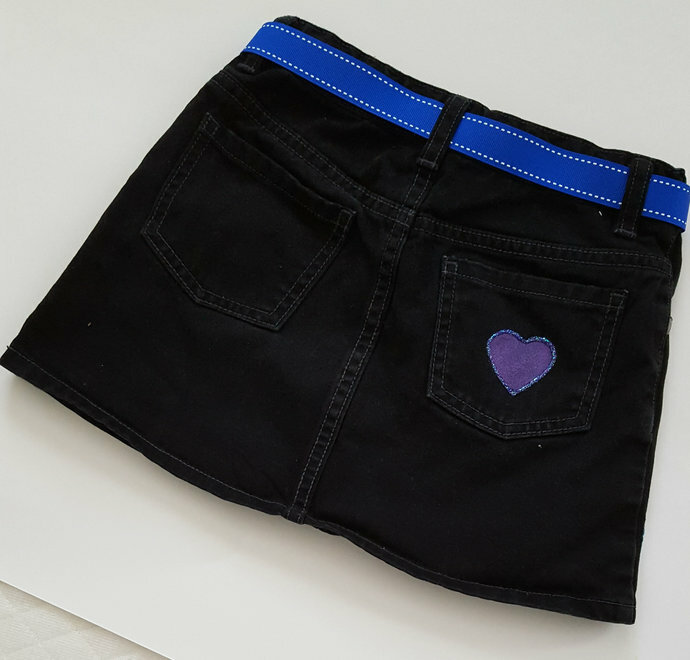 Size 6; waist 21", length 10". This is a recycled denim item, the original product is a " Crazy 8" brand.